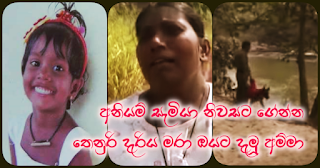 On information that the 4 year old girl, Thenuri Tissera of Kaluwaragaswewa, Puttalam has disappeared, the girl's 21 year old mother has yesterday admitted that it was she who killed the girl and threw her into the oya ... thus bringing an amazing finale to the uproar which gripped the cor the last 5 days. As such, the girl's mother H.M. Nayana was arrested today (4) and search operations of the body of the girl which still has not been successful has been resumed in Kala Oya. school living in Olimaduwa hamlet of Saliyawewa Nilabemma Project. The mother, the grandmother and grandmother's husband of latter's second marriage had been living in the house where the child lived. What the suspect mother has told police was that when she was attending to her daughter for her to be taken to pre-school last 30th she has kicked the daughter in a fit of anger in which instance she has thought that the child has fainted and so she had sprinkled water on the face. 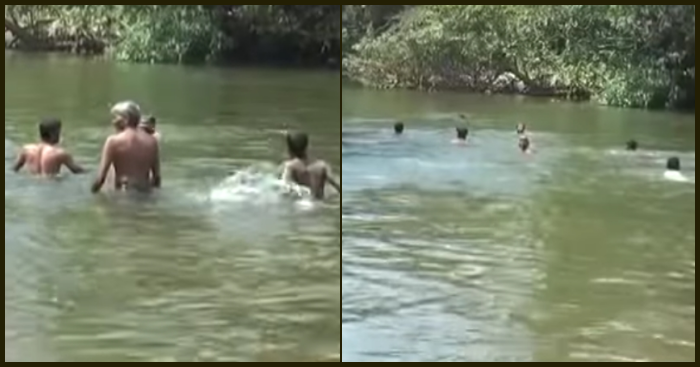 However, as there was no response from the child, she had carried her and thrown her into Kala Oya waters. She has told police that as the dead body of her murdered father too was thrown to the oya at this spot according to what she suspected and as that body too was not recovered still, she assumed that the daughter's corpse will not be found likewise. This woman who strongly clings to mythological inhuman possession faith,has even told a story of her dead father appearing in her dreams and telling her to send the child to him. She also added that after the child was thrown into the water she had returned home and played a role of false acting and had run towards the cemetery. When running that way she gave information to police about people whom she passed on the way. The suspect of the murdered child had been raped by a person in the same locality when she was about 14 years of age. Subsequently she has kept company with about 15 males and one of them was her father, it was revealed. It later came to be known that suspect's father too has disappeared some years ago and that his body was dumped into Kala Oya after being killed. The suspect's mother presently lives with a man who had been remanded in connection with her father's disappearance and has been bailed out. Neighbours have expressed opinion that this woman shows a desire of living together once again with a man who is supposed to have sexually abused her previously and as the daughter and second husband of the mother is an obstacle in such a case, it could be suspected that she was moved to kill her child. It was revealed at inquiries that she had made an attempt continuously as being possessed by her father with the ulterior motive of chasing away the second husband of her mother. 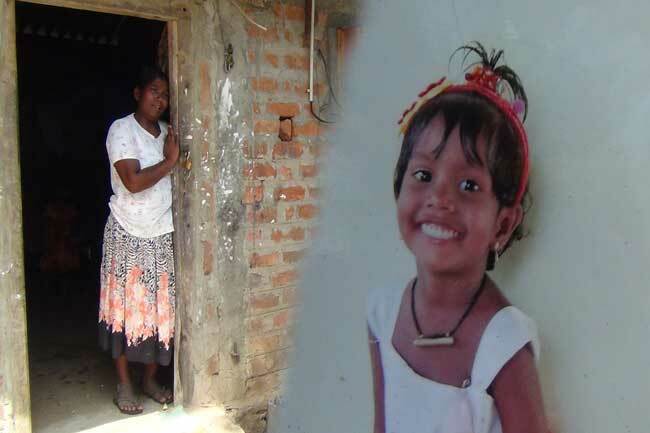 What the deceased child's grandmother, T. Niluka Wijeyratna said was that at the time of the incident concerned, she and her husband had gone to activate the motor to obtain water from Kala Oya and that screams of "seeye ... aachchiye!" were heard and that there was no news about her. Also that the mother of the disappeared child was being possessed by someone and that she shouts saying, "Bring and give me my niece!" She has also told in the presence of police that it is her dead husband who has taken possession of her that way. She further said that on coming home on the day of the incident her daughter and the niece was not to be seen and that she found her daughter at the cemetery after about half hour; but that the niece was not there. What Nayana Kumari (21) who holds responsibility for the murder of the child said at initial police investigations was that she remembers she and the daughter being in her house; but that thereafter she does not recall anything. She has told various stories that in any case when the villagers were engaged in search of the child, she may have gone to the forest or that she may have fallen into the oya. Because of her stories the villagers as well as police developed a suspicion that the mother is at the background of the child's disappearance. The pre-school supervisor has said that the day before the incident the child had come and has shown a pleasing attitude without any problem as such. In any case, some time before that the child had been dealt with a cane and that the child has had wounds on her back and when it was noticed at pre-school, the police was notified after which the child was kept under probation for a period of time, she revealed. After it came to be known that the child had disappeared last 30th from 7.30 in the morning, search operations were launched throughout 5 days. 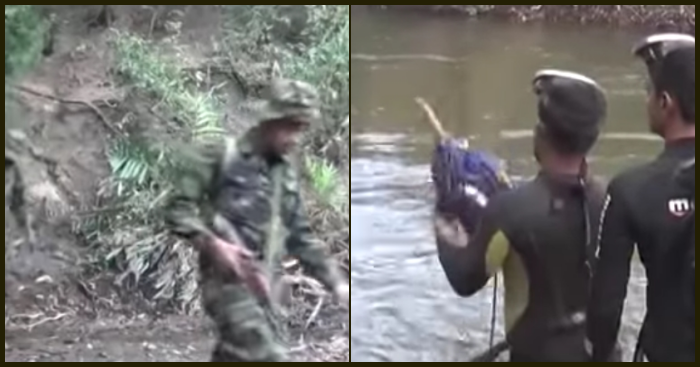 It was the Navy, Special Task Force, Civil Security Force, Police and the villagers who involved themselves in the operations at a distance of three hundred metres of Kala Oya from the house, Neelabemma and within Wilpattu Reserve; however not meeting with any success whatsoever. For the sixth day too search operations were continued this morning (4) and after employing police dogs, it was observed that the dog has travelled upto the brink of the oya and stopping there. Police also secured statements from some inhabitants living near the home of the suspect. 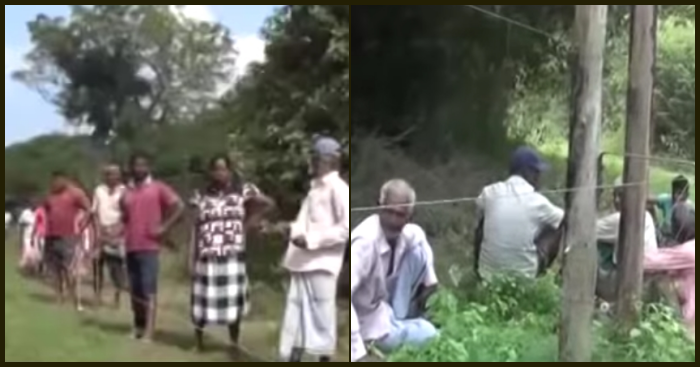 The story that the grandmother mentioned that at the time the child was screaming she and her husband were in the process of activating the motor to obtain water for cultivation purposes may have been a lie and that instead they had been engaged in producing kasippu, it was revealed at interrogation. Attention of police has been focused on the point whether the grandmother has given any co-operation in the killing of the child. It is believed that the child would have been murdered because this woman who has had several unsatisfactory connections had thought that the daughter might turn out to be an obstacle to the marriage. Thus she has been taken into custody and Karawalagaswewa Police officer in charge hs handed over her to Saliyawewa Police to be produced before court. 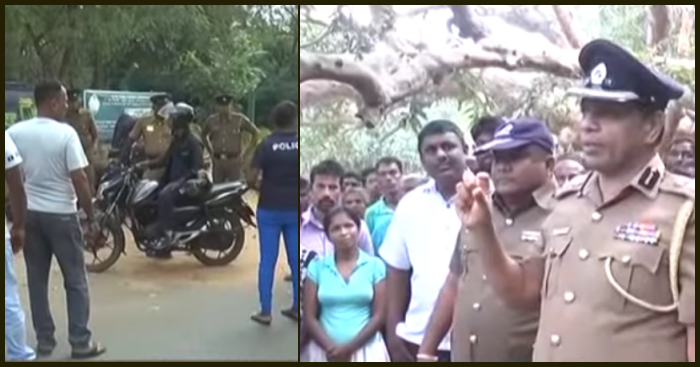 Investigations are proceeding under direct supervision of Puttalam Superintendent of Police, Mr. Chandraratna Jayakody.